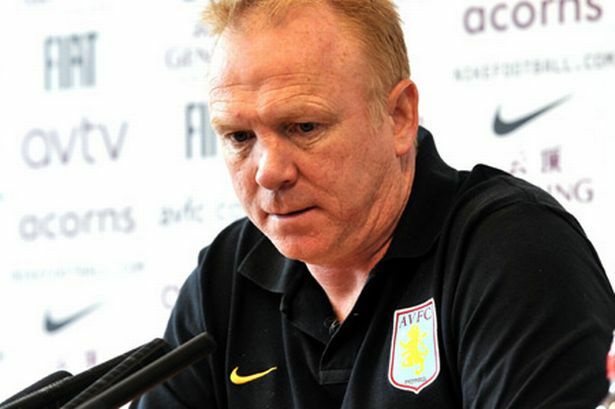 Alex McLeish has expressed his regret at letting down the Aston Villa fans following his season of failure with the club. McLeish was sacked on Monday by owner Randy Lerner after just 11 months in charge, overseeing a dismal campaign in which Villa came within two points of relegation from the Premier League. Villa managed a club record low of four home wins, with their points tally of 38 their lowest for 42 years and their eventual 16th-place finish their worst in six seasons. In being appointed manager after taking bitter cross-city rivals Birmingham City down into the Championship last season, McLeish never truly won over the supporters. The Scot&apos;s poor record only added fuel to the fire, with his sacking seemingly inevitable, albeit with McLeish naturally expressing his disappointment he did not do more. McLeish said: "When I accepted the role as manager of Aston Villa Football Club I was acutely aware of the responsibility I had to find the best way to serve the great traditions of one of the finest clubs in professional football. "I was truly honoured to have been given the opportunity to manage the club, which plays such an important part in the fabric of the local community and to its worldwide fan base. "I relished the challenge and, together with my loyal and very capable staff, dedicated all of my efforts into moulding a successful team. "My only regret in leaving now is we weren&apos;t able to achieve more for the supporters and their high expectations. "Finally, I want to take this moment to say that I have nothing but the highest respect for the club and sincerely wish it and the fans great success in the future." It leaves Lerner, along with chief executive Paul Faulkner, searching for his third manager in under two years, the American flying in yesterday to begin the quest in earnest. Lerner spelt out earlier in the week that under McLeish Villa lacked "compelling play and results", with his desire now to appoint a man "who sees the club&apos;s potential and embraces our collective expectations". However, his plans are likely to have been thrown off kilter by Liverpool&apos;s sacking yesterday of Kenny Dalglish. Candidates on Villa&apos;s radar, such as Wigan&apos;s Roberto Martinez, Brendan Rodgers at Swansea and Norwich&apos;s Paul Lambert, are almost certain to figure highly on Liverpool&apos;s list of prospective candidates. In particular, Martinez spurned Villa&apos;s advances a year ago, and after his astonishing end to the season in keeping the Latics up, has been installed as one of the favourites for the vacancy at Anfield. One man apparently not in Villa&apos;s thoughts is Mick McCarthy, dismissed by Wolves in mid-February after nearly six years in charge.